(CBS/AP) JONESBOROUGH, Tenn. - If you're trying to hide a stolen vehicle, you might not want to hide it at your drug house! That's what sheriff's deputies in East Tennessee say Roy W. Royal did, and now he's charged with possession of stolen property, growing and selling marijuana...and maintaining a drug house. Deputies said when they went looking for a stolen vehicle, they found it Saturday stuck in the woods behind a home, and then saw all those healthy green plants. Sheriff Ed Graybeal said the arrest of Royal, 53, sprang from a tip to an officer. 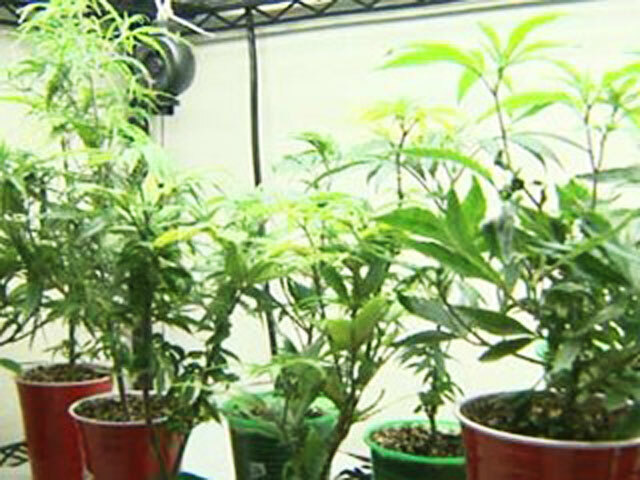 He said the seizure of 75 plants both outside and inside the house took about $75,000 worth of marijuana off the streets. Royal was arraigned Tuesday in Jonesborough. His bond was set at $40,000.